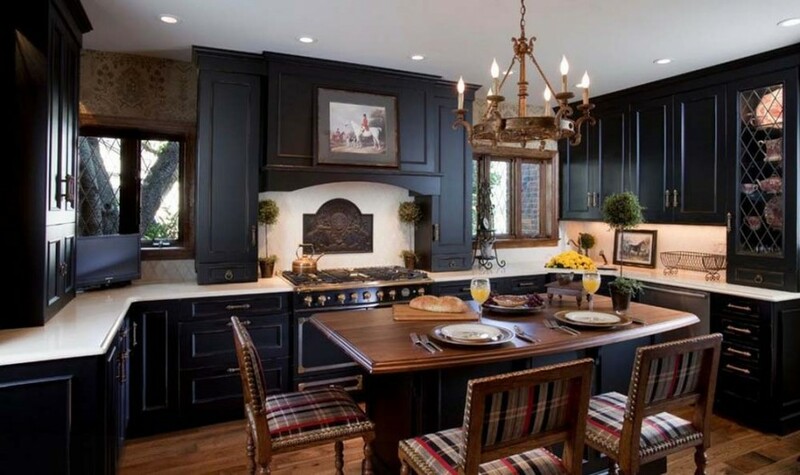 U-shaped kitchens take on a whole different feel when they are decorated with dark colors and include rustic decorations. 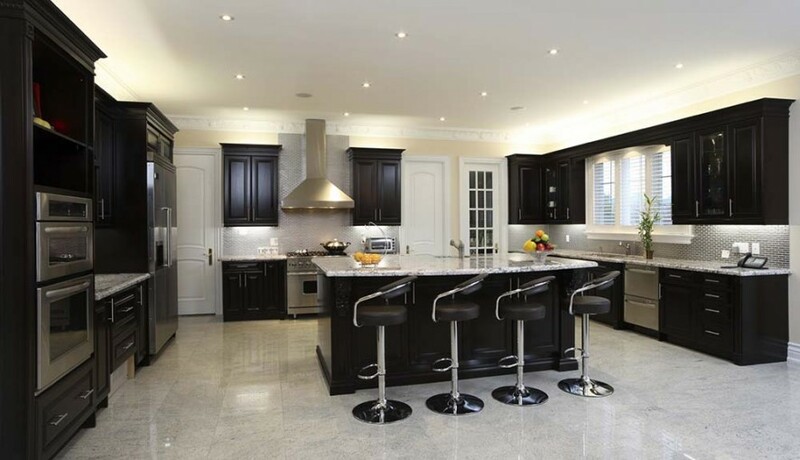 The dark look can make a U-shaped kitchen look too small, but white highlights open it up and give it added style. 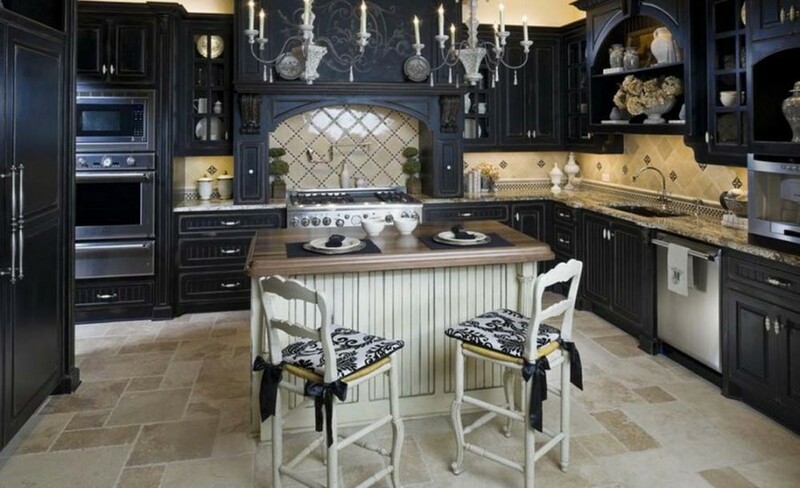 This kitchen has nice contrast in dark and light colors and brings the rustic feel in with the chandelier and other decorations. 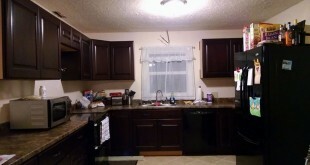 The appliance elements are spread out nicely to allow plenty of cabinet and counter space between items. 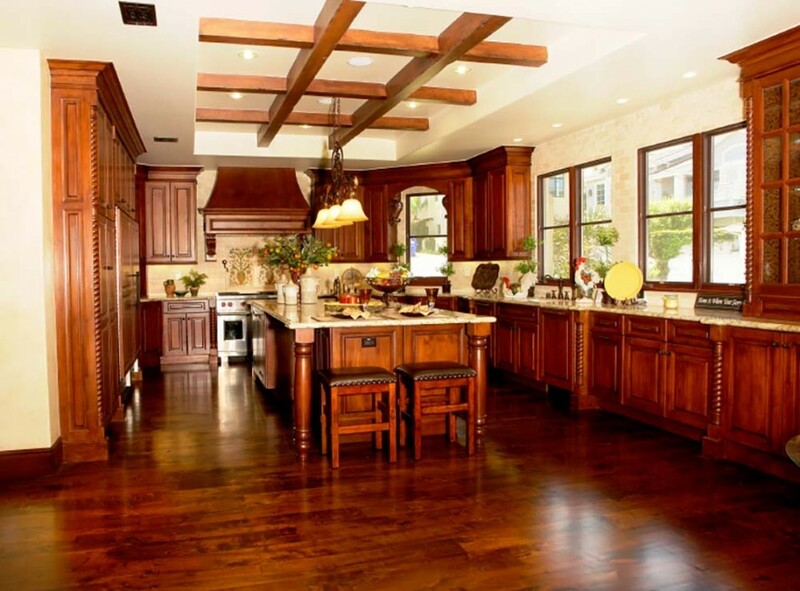 This example is much more long and narrow than many U-shaped kitchens. 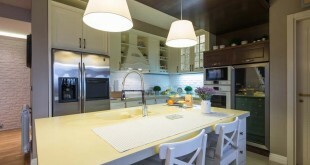 It allows extra space to move around and cook and even leaves room for guests at the island. 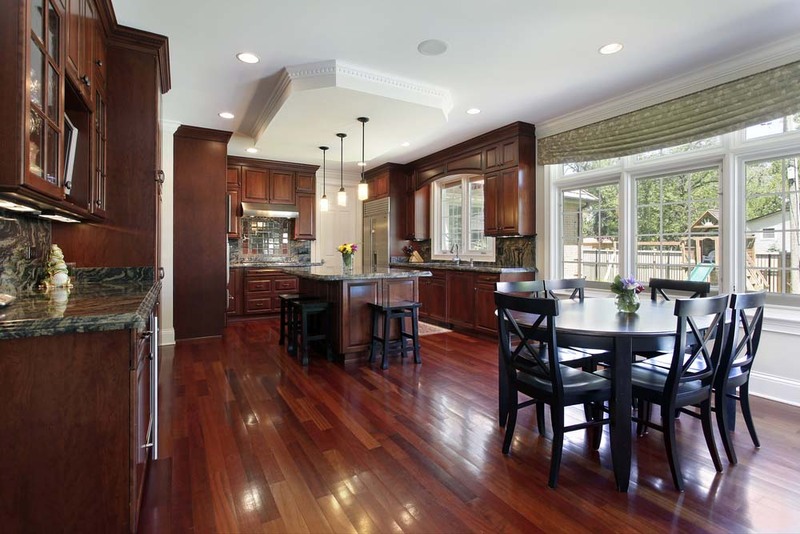 When the room is large enough, a center island can make use of otherwise wasted floor space. 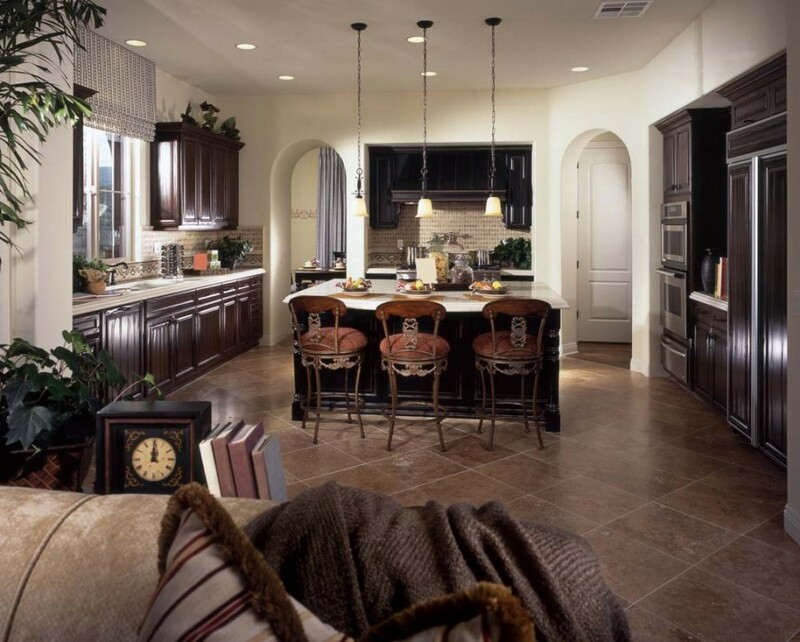 It is a good central location for the sink and can also add storage and even a sitting area for casual snacks. 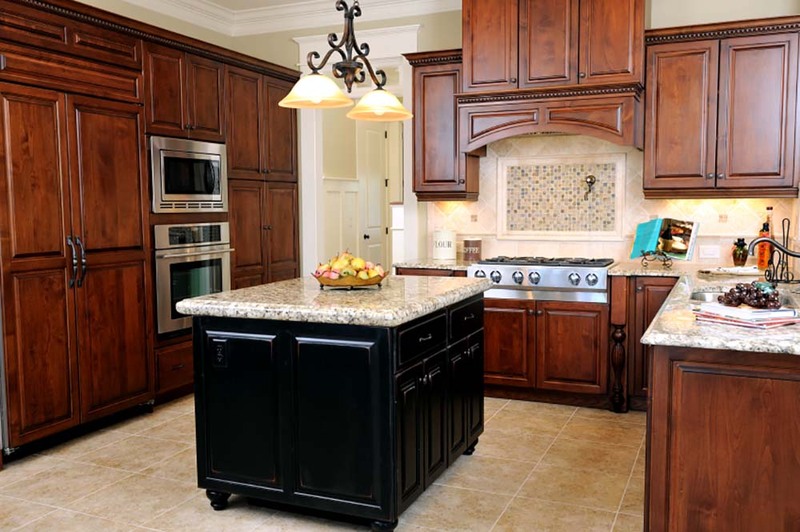 When investigating U-shaped kitchens, make sure there is enough space for an island. 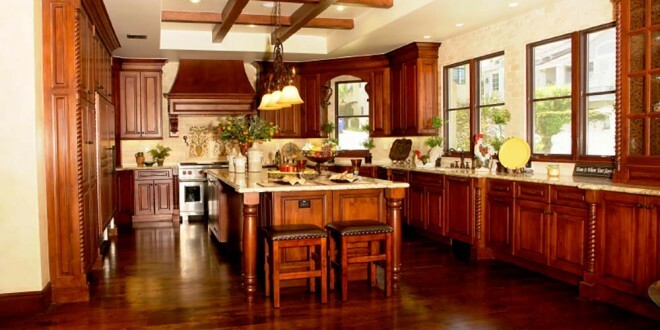 Islands can really add to the room, but they can get in the way if the kitchen is too small and cramped. 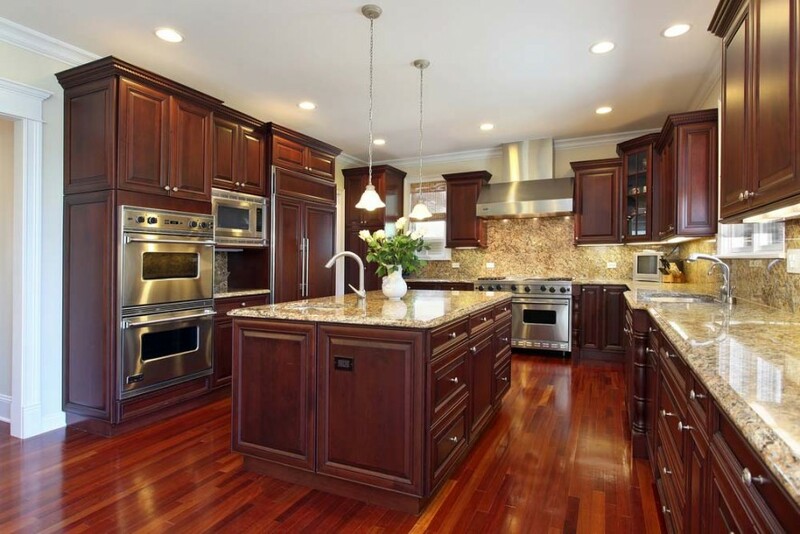 It is often good to space appliances out in the allotted area so there is counter room between the items to set things down when cooking. This kitchen makes good use of the space allowed. 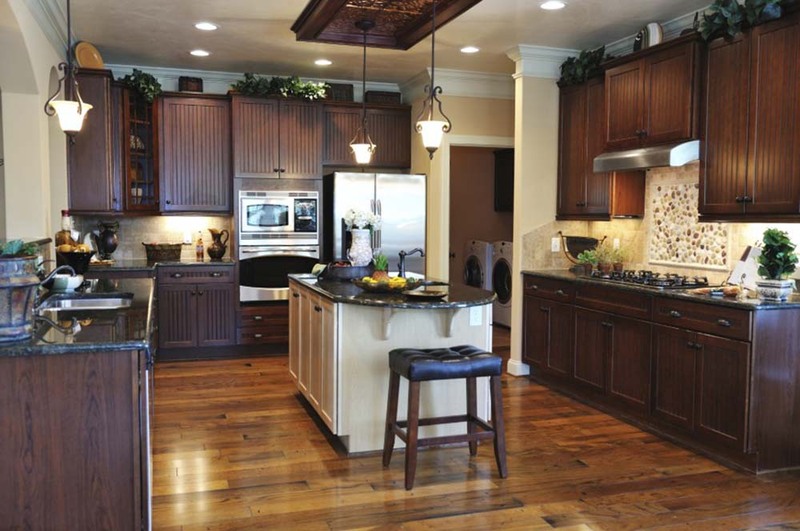 Larger U-shaped kitchens allow plenty of space, but alliances are more spread out and that means more steps between things to get a meal prepared. On the other side, there is room for more than one person in the kitchen at a time. 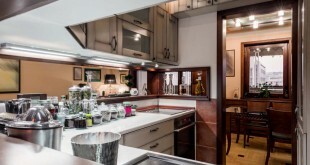 This longer, narrower U-shaped kitchen gives lots of added counter space and storage area at either end of the U. The appliances are centrally located and the rest is icing. 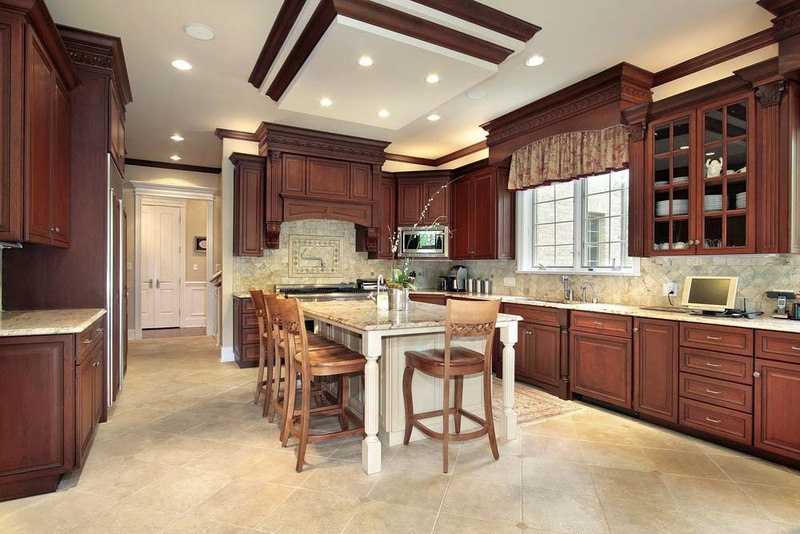 When the U is more open like in this kitchen, seating area around the island is convenient and fits in nicely with the design. 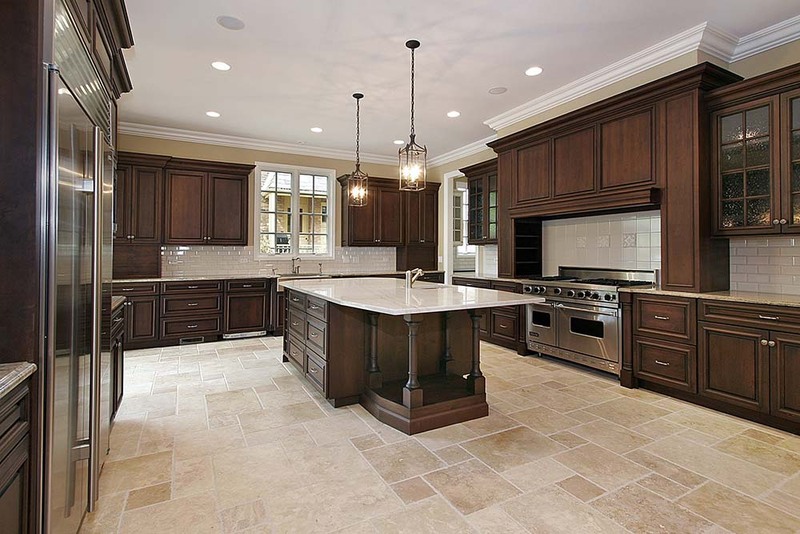 This large, luxurious example shows that U-shaped kitchens can have it all. 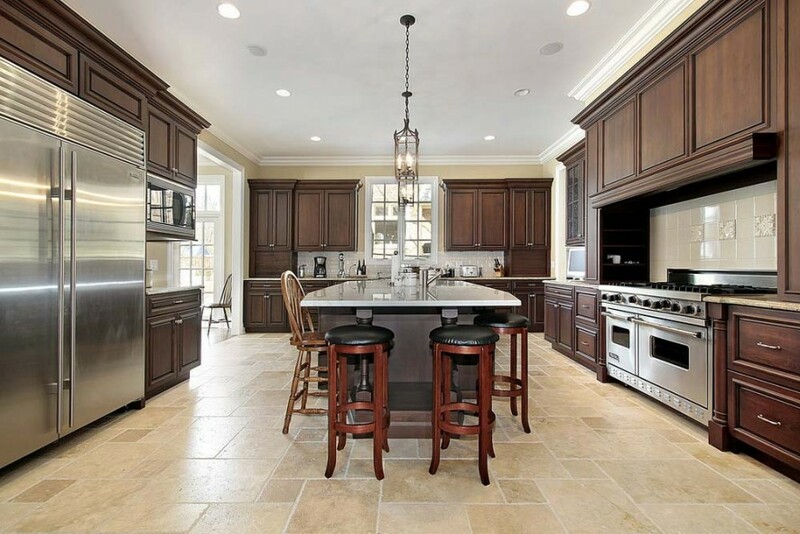 This one has enough space for an island complete with seating as well as plenty of room around it to move and cook. 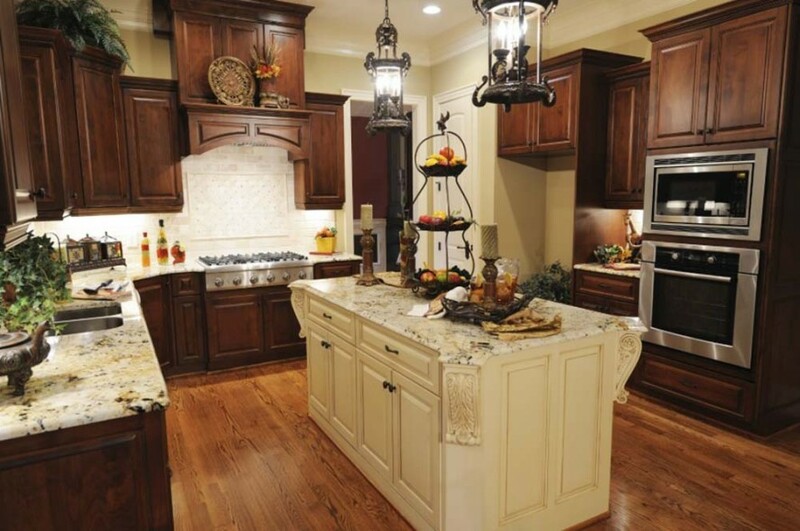 Keeping the fridge near the edge of the kitchen, close to the next room, makes it easily accessible to others without having to interrupt and cross paths with the cook in another area. This U-shaped example is wide enough to easily place an island in the center complete with seating. There is still room around the chairs to move and cook. 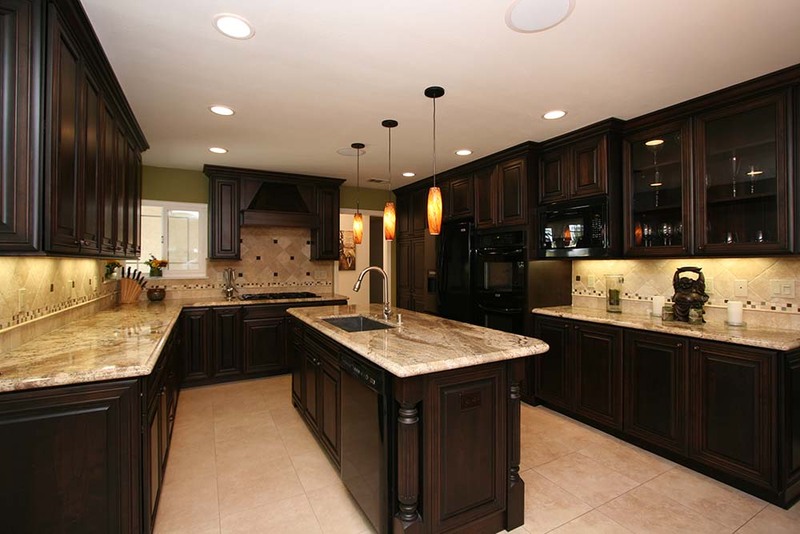 Most of the appliances are lined up on one side of the room so the cook can easily get from one to another. With two sinks, there is running water wherever needed. The U-shaped kitchen is a little more closed off from the next area of the house, but it can still be open and flow into the next room with this type of design.